Flour cannot be separated from culinary processing, especially noodles, cakes and bread as raw materials. Wheat flour made from wheat. Wheat flour can be replaced with flour from various tubers. 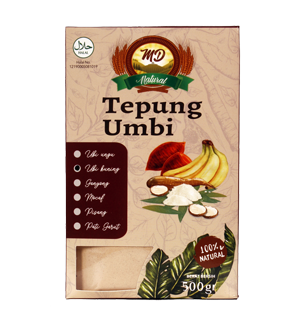 This flour can replace the function of wheat flour or can be used as a mixture of wheat flour. Various flour substitute flour comes from local tubers. The bulbs used are mostly Indonesian tuber that thrive and are easily found.